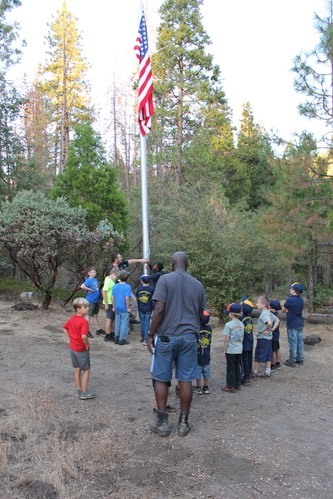 Camp David Wortman is Pack 400’s “Home Camp” we have had many Pack Campouts here and for good reason, it is in a great location and provides for a wonderful experience for our Scouts and their families. 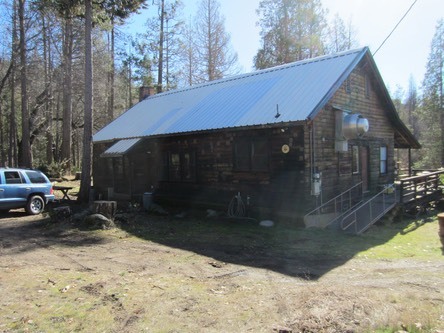 Camp David Wortman is a Boy Scouts of America camp located near the town of Badger at an elevation of 3,500 feet and adjacent to Hartland Christian Camp. It is about 50 miles northeast of Visalia in the Sierra Nevada Mountains. It encompasses approximately 60 acres of heavily wooded land. There are 17 campsites with flush toilets, running water, and a small lodge with kitchen for meals. The site has some scenic hiking trails and a creek running through the camp. On average tempuratures are about 10-15 degrees cooler than the Valley Floor. 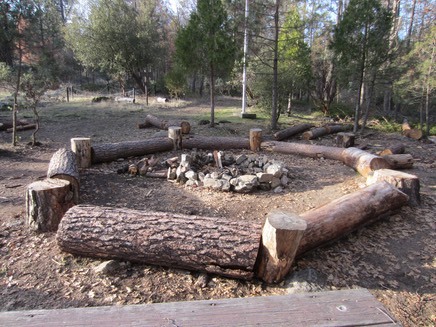 You will want to bring a wagon or wheelbarrow to help you carry your items into camp. 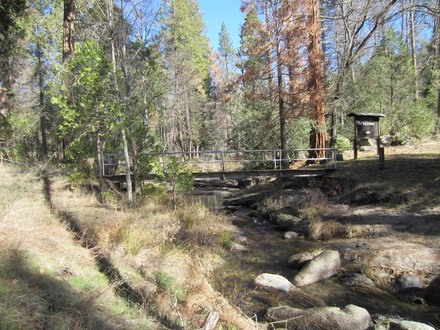 The parking area is located across a narrow foot bridge that spans a small stream so you have to transport your supplies across this bridge and several yards past on the other side to each camp site. Yes you will see some leader vehicles come in from another side. This is for delivering the large amount of supplies to support the meals and activities. We cannot allow additional access as this creates erosion on the narrow dirt road from the back side. You will have help from the Scouts and families to bring your items in, And we can make arrangements to move larger items in if needed. See the Pack 400 Camping Checklist for suggested items to bring.